The album where Bruce Springsteen really settles in as The Boss – gritty, chest-pumping anthems all the way here on this one! 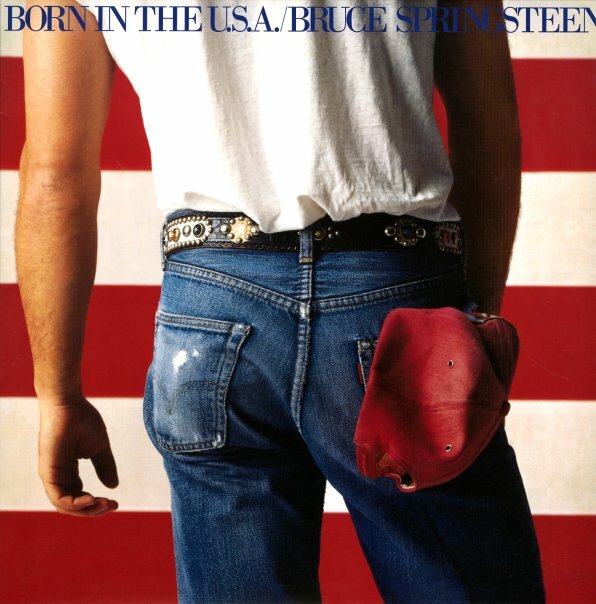 Born In The USA is so exuberant and full of life, even when Bruce is angry –as he is on the title track – his charisma is so strong that you'd be forgiven for thinking he's cheerleading, when he's really criticizing. Strong stuff, even if you might want to skip over couple of overplayed numbers – with "Cover Me", "Darlington County", "I'm On Fire", "I'm Going Down", "My Hometown", "Glory Days", "Born In The USA", "No Surrender", "Bobby Jean", "Dancing In The Dark", and "Working On The Highway". © 1996-2019, Dusty Groove, Inc.